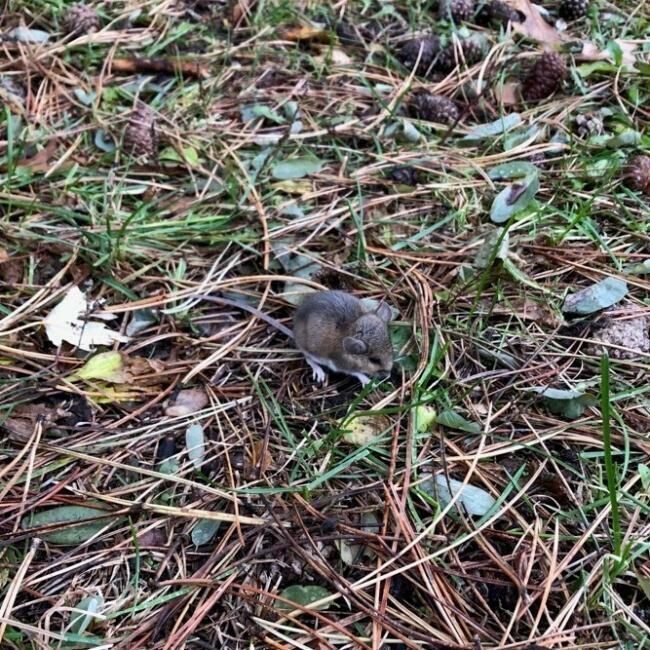 Last week, we spotted this little mouse in the north east corner of High Park. High Park has two mouse species - house mice, deer mice as well as the closely related meadow voles. Mice are incredible creatures! They can squeeze through spaces as thin as 6 millimeters, which allows them to easily make use of human-built shelters. House mice cannot survive temperatures below -10 degrees celsius, which is why House mice find warmer winter quarters as autumn gets colder. Deer mice are more likely to spend the winter below the snow where it is somewhat warmer. Mouse populations also support the predator population; foxes, coyotes, Red-Tailed Hawks, Eastern Screech Owls and Great-horned Owls all rely on mice as part of their diet. Some other amazing things about mice: they are notorious nappers - taking 20 naps per day, their hearts beat 320 - 860 times per minute and they can jump 30 cm high! Mouse photo by Helen Plesko.